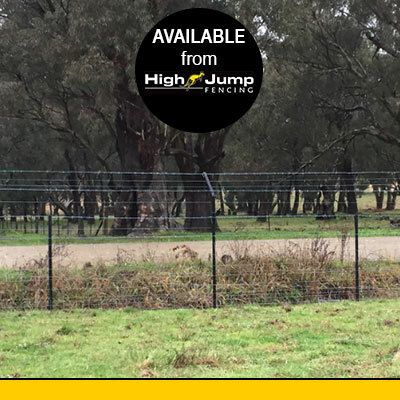 Steel posts are the obvious choice for many farm fencing applications and the cornerstone of the High Jump Fencing philosophy of affordability and ease of use. 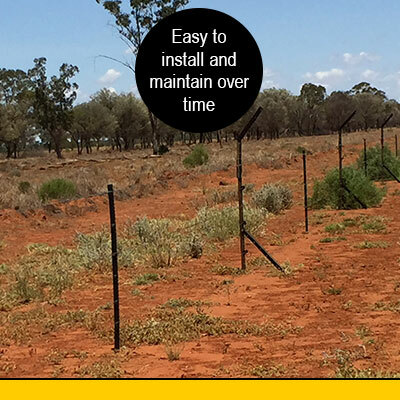 The innovative range from High Jump Fencing extend the boundaries of what was previously possible with a steel post. The High Jump Fence Extender® and the Fence Boot® are now available to buy, with a number of exciting other products due to be released in the near future. With so many fencing options available, we think it makes sense to utilise tried and tested designs, which is why we’ve designed our product range to work with what is already out there in the marketplace. 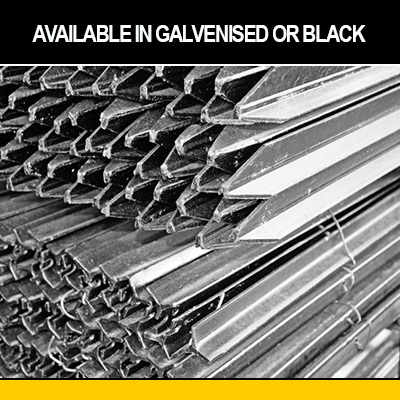 Steel Posts (star pickets) are available in packs of 10 or bulk packs of 400. They are hard wearing and heavy duty – the 1.65m length post weighing in at 3.4kgs and the 2.4m post is a hefty 5kgs.